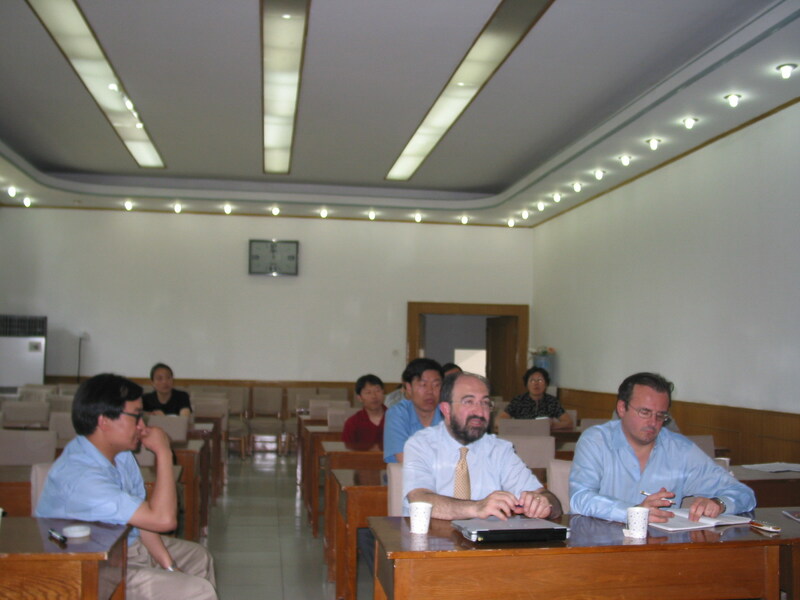 At the invitation of Dong Wenjie, deputy director of NCC, Italian scientists visited National Climate Center on 4 Jun. 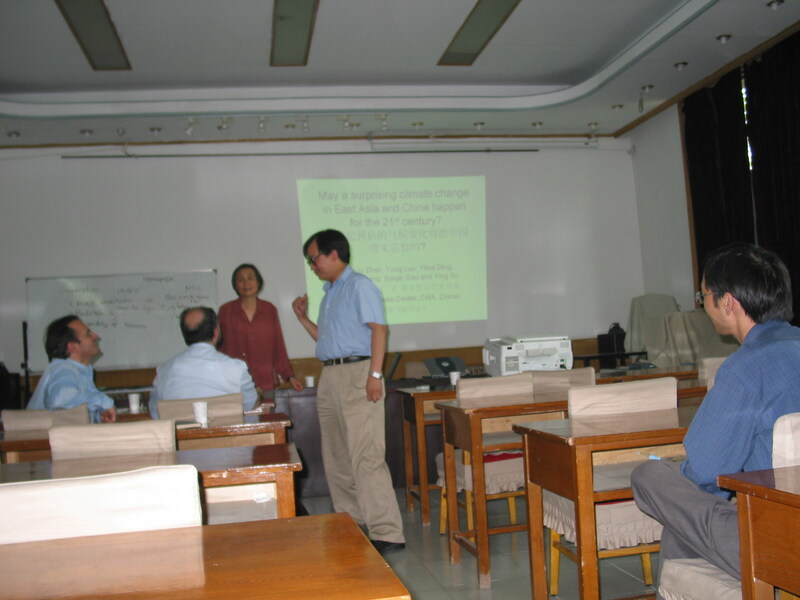 2004, and have scientific communion with Climate System Model Division and Laboratory for Climate Studies(LCS). 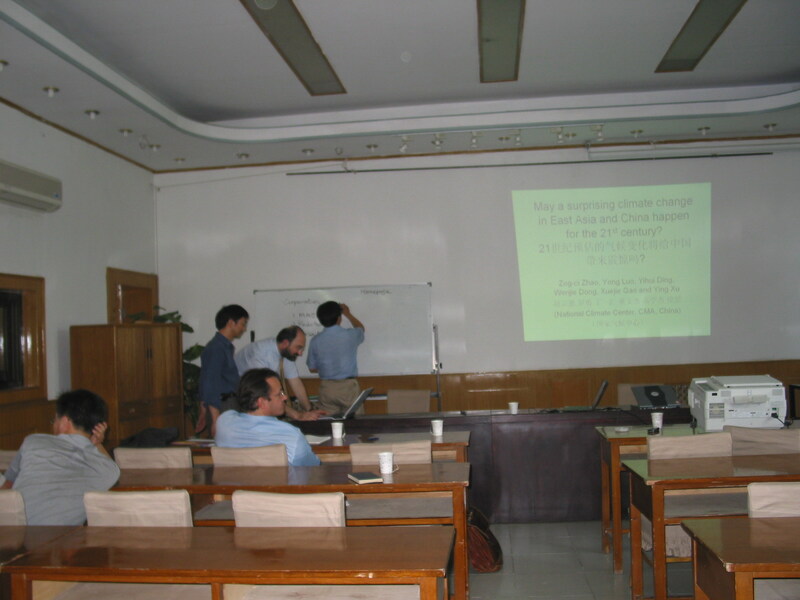 In the meeting, Dr. Wu Tongwen introduced the development state of DCMPS of Climate System Model Division, and Professor Zhao Zongci introduced probable climate change in 21st century, Italian expert was very interested in model development and prediction result of NCC. After report, model development cooperant intent between China and Italy was discussed. Li Weijing, deputy director of NCC, and model development personnel of NCC attended the meeting.